Decades ago, a driver had to either decipher a map while driving or take a blow to the ego and ask for directions. 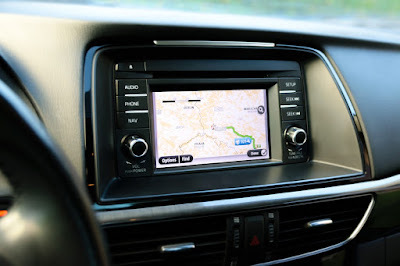 While a GPS device offers numerous benefits, it can also be a distraction and in worst case scenarios, gets one lost rather than on the right track. Here are top tips for those who are new to using GPS devices. Be sure it’s used for directions and not distractions. As mentioned, drivers needed the aid of a map years ago. Later, the radio offered some insight as to traffic patterns and roads to avoid. At the end of the 20th century, GPS devices efficiently began guiding drivers from point to point. While devices provide drivers with audio and visual cues, getting information is not always cut and dry. A huge irony of some ‘helpful’ devices and apps is that they may create more distraction than order. It did not take long for law enforcement to pose laws involving the restriction of cellular phone usage. It wasn’t the audio aspect, for drivers don’t have a problem holding conversations or listening to the radio while driving. However, drivers were taking their eyes off the road to text, dial, and grab for their phones. Despite strict laws, drivers continue to text and talk while driving. Have you ever daydreamed? Of course, we all have at one point or another. Think about your attention to immediate surroundings when doing so. It’s as if you’re not really even paying attention to what’s right in front of your eyes. Your mind and attention are elsewhere. GPS devices can also distract drivers who are listening for audio cues, placing more emphasis on their ability to hear rather than react to the road. Of course, current automobiles are usually fitted with in-dash GPS devices. Find more here. It’s suggested that those with GPS devices first grow acquainted with the product and how it works. That way, there will be no real-time surprises on the road. Secondly, rather than on the fly, program your coordinates before taking off. Also, optimize the device for your preferences. For example, if it’s easier to glance at the GPS rather than listen for commands, attach it to your windshield, at an appropriate angle from the driver’s seat. You shouldn’t have to turn your head to look at an upcoming prompt.